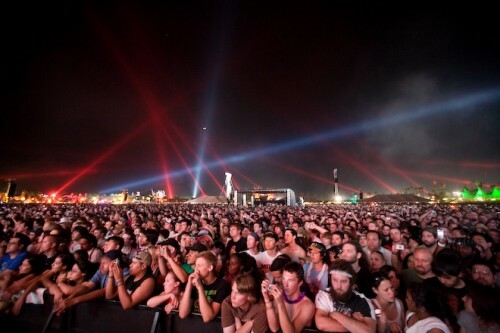 Here are a diverse range of Music festivals in different locations worldwide to consider. Plenty more to suggest as well. Held in late April out in the desert close to Palm Springs in California. Largely aimed at a younger age group. This is a 3 day festival held over 2 weekends and camping facilities are provided. A great diversity of musical genres. Crowds of approx 50,000 per day. Held in June in Sarawak approx 40 mins from Kuching. This is a 3 day festival and invites musicians from all continents plus many Indigenous musicians from Borneo. A small intimate festival in a unique environment. This is an event for all ages. Held in October in Golden Gate Park in San Francisco over 3 days. This is a free festival and was started by a venture capitalist Warren Hellman initially focusing on Bluegrass music but has now expanded to an Americana/Roots music festival. 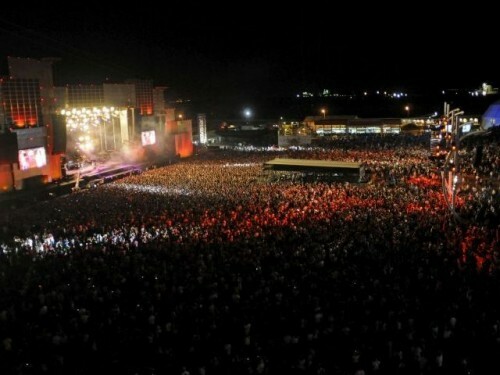 Held in September in Rio De Janeiro. This is a massive event and will be over 7days with possibly up to 700,000 people attending. What better combination can you get. Major rock groups will be on the bill. Held in June at Pilton in the UK. This is a very large outdoor festival and camping is the attraction with potential for lots of mud and fun. Long running festival of 42yrs duration. Held at the Fairgrounds racetrack in New Orleans over 2 weekends from late April to early May. 11 stages with a great mix of music styles for everyone. This is a music city and lots of night gigs also on in combination with the event. 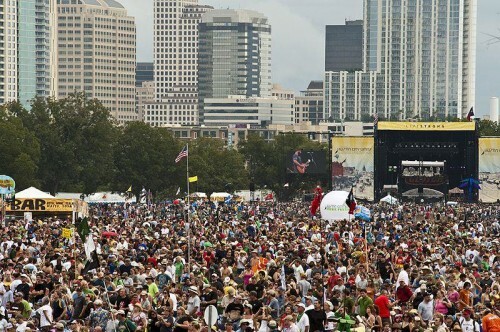 Held in Austin at Zilker Park in October. Big festival set over 2 weekends. Good mix of all music styles presented on 8 stages. Excellent time of the year in this unique music city. Plenty of night gigs to attend as well. Held in August in Tel Aviv over 3 days. Largely aimed at Alternative rock music. This festival has been in operation for 20yrs now and is placed in different cities each year. This location would provide a terrific opportunity to explore the Middle East as well. Held in Clarksdale, Mississippi 11-14 April. This is a festival like no other. Small town fair combined with a celebration of the blues. Lots of free entertainment, even pig races. Visit up to 20 odd juke joints with lots of local performers in action. From just $2,500 per person (not including airfares) or from $3,715 with airfares. Upon your arrival in Colombo airport you will be met and assisted by tour co-ordinator in the arrival lounge followed by an assisted transfer to your hotel in Colombo. After breakfast travel to Anuradhapura the ancient capital of Sri Lanka from 05th century BC to the end of the 10th century AD and was the most celebrated of Sri Lanka’s ancient ruined cities. The city’s greatest treasure are its dagobas constructed of bricks and are hemispherical in shape. The most notable of these dagobas are the Ruvanveliseya dating back to the 2nd Century B.C. and is 300 feet in diameter, the Jetawanarama is 370 feet and the Thuparama Dagoba is enshrined with the collarbone of the Buddha. After breakfast enjoy a visit to Polonnaruwa, the ancient capital of Sri Lanka. As of today the city remains as one of the best planned archaeological relic sites it the country, a standing testimony to the discipline and greatness of the Kingdom’s first rulers. 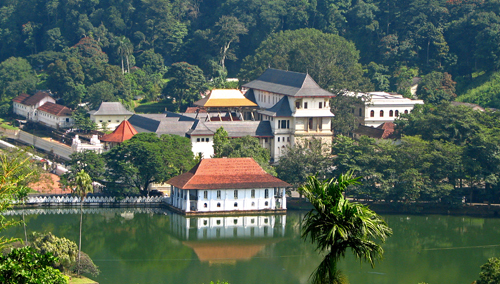 It is now declared a World Heritage site by the UNESCO. After breakfast at hotel transfer to a point off the main road where you begin this amazing experience. Hiriwaduna is an archetypal Sri Lankan village which is traversed during the visit which begins with an awesome walk along a bund of a “Wewa” or manmade reservoir. The reservoir, the surrounding scrub jungle, marshland and village are a hive of early morning activity. Amazing birdlife, butterflies and possible sightings of crocodile only add to the charm of seeing the villagers as they go about their early morning tasks of fishing or washing clothes at the periphery of the lake. Experience the pleasures of village life as it awakens to a new day. After breakfast travel to Kandy stopping en-route at Sigiriya rock fortress. This world heritage site, consists of the remains of a palace on the top of the rock, a mid level terrace that includes the Lion Gate and the mirror wall with its frescoes of the ‘Heavenly Maidens’, the lower palace on the slopes below the rock, and the moats, walls and water gardens that extend for some hundreds of metres out from the base. After breakfast relax at the hotel. Check out around 1200hrs and visit the Kosgoda Turtle Hatchery. 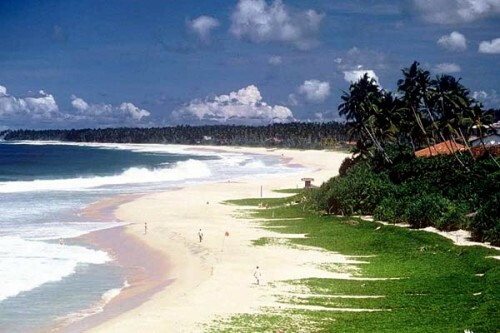 Kosgoda is famous for its turtle hatchery- operated by the Wild Life Protection Society of Sri Lanka. It was established in 1981 to protect Sri Lanka’s turtles from extinction. The hatchery pays fishermen for eggs that they collect at night along the sandy beach. Visitors can see huge tanks filled with new born turtle hatchlings. After being fed, the baby turtles are taken to the sea and released when they are 2-4 days old, usually during the safer hours of darkness. Although October to April is the main laying season, some eggs can be found at Kosgoda throughout the year. Also do a Madu River Boat Safari. 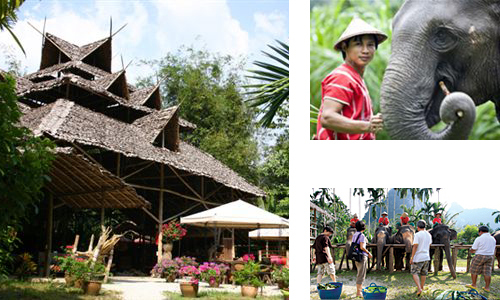 Stay at Elephant Hills Camp in Khao Sok National Park, Thailand. 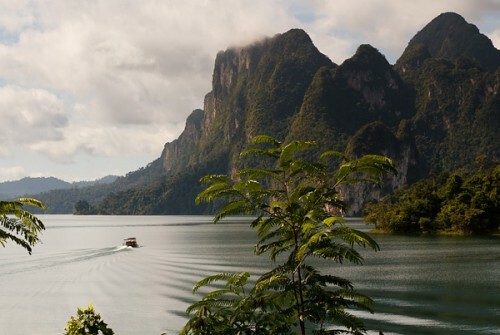 Highlights of this independent tour include interaction with the resident elephants, a jungle river canoe trip, exploring the islands and lake by boat and discovering the flora and fauna on a jungle walk. During our Elephant Experience you will get close to and experience hands on these magnificent animals, interact with them and learn the secrets of their mahouts. You must prepare and feed them one of their daily meals, scrub and clean and watch them bathe. Feed them their dietary supplements that help with digestion and overall well being and plant some of their food which will be ready for next year’s crop, you will not sit on or trek with our Elephants. Our trained guides will also offer information on Elephants, their conservation and also about their handlers or Mahouts. Truly a once in a lifetime chance to experience the Asian Elephant, the largest land animal in this part of the world. Experience 4-star cruising with CroisiEurope and enjoy 2 river cruises through the heart of Europe, with flights from Australia and hotel stays in Amsterdam, Budapest, Prague and Dubai. 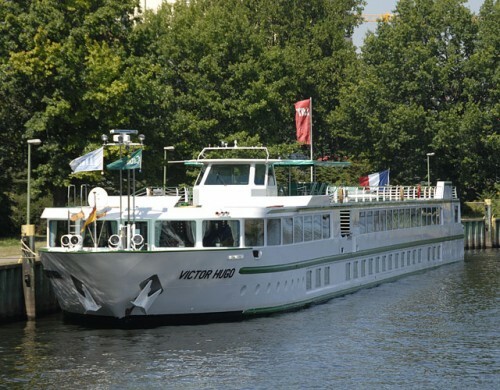 The package starts with flights from Australia to Amsterdam for 1 night pre-cruise stay before embarking the first cruise aboard MS Victor Hugo for 6 nights cruising the Rhine River from Amsterdam to Strasbourg, France. Cruise through Holland and into Germany, along the Romantic Rhine passing Koblenz and the legendary Lorelei Rock. This is the most beautiful section of the Rhine, where lush vineyards and castles stretch as far as the eye can see along both banks of the river. The first cruise ends in Strasbourg, with an overnight stay in this UNESCO world heritage city, rich in architecture and history. Next, board the MS Victor Hugo and cruise along the Rhine, Main and Danube; through picturesque German villages including Miltenberg and Nurnberg; through Austrian cities including Linz, Melk and Vienna; through Slovakia and visiting its capital Bratislava; and finally reaching Budapest. There is 3 nights on board the ship while moored in Budapest, with the opportunity to join the optional excursions offered, followed by 2 nights hotel stay in the city. Return to Australia via 2 night stopovers in both Prague and Dubai.